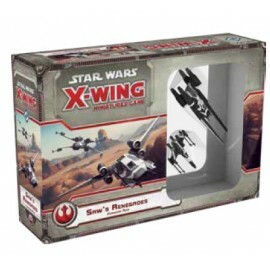 Bring the epic troop and vehicle warfare from the Star Wars galaxy into your store with Organized Play events for Star Wars™: Legion! 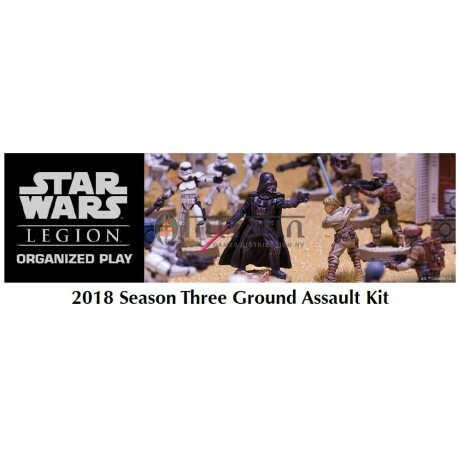 Each Ground Assault Kit contains exclusive prizes for participants and clear instructions for the organizer – everything you need to host three months of gaming and painted miniature contests in your store, with prizes for up to eight players! 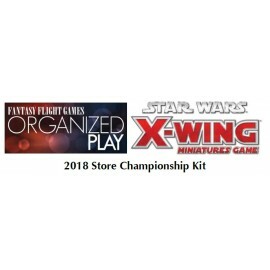 Contents (Not For Resale): • 54 prize cards: 18 each of three different cards, to reward players as they play games of Star Wars: Legion and purchase products in your store. 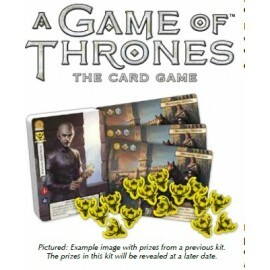 • 36 prize items: 12 for each of the three months, to reward players who play more than half of the games offered, with the rest awarded semi-randomly based on achievements earned. • 3 painting awards: 1 per month. Participants will submit and vote for a different type of unit or army each month. A different campaign will be used for each of the three months this Ground Assault Kit is designed to cover. You can choose to offer a single-day event, host one game night per week, or allow players to complete the games in your store at their convenience. 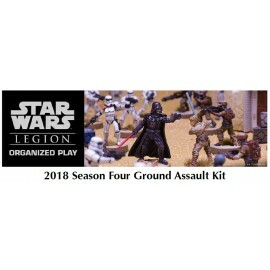 Each Ground Assault Kit contains prizes for up to eight players. 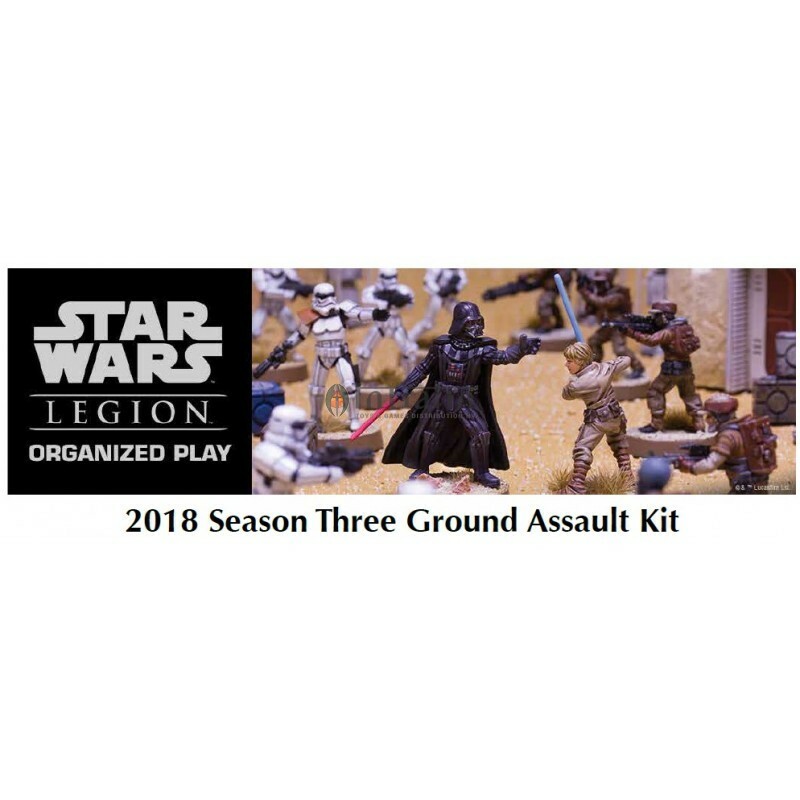 Be sure to pre-order enough kits to support your player community during the three months following this kit’s arrival!ONLY FOR PHYSICAL SHOPS!